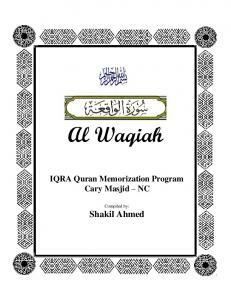 IQRA Quran Memorization Program ... The name Al-Waqiah means The Inevitable Event and refers to the Day of Judgment. ... 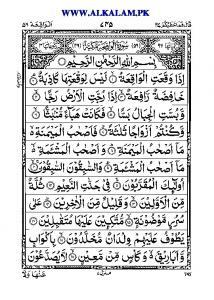 The Blessings of Surah Al- Waqiah. 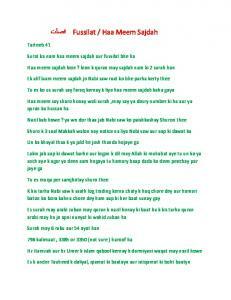 (tafseer) researched & compiled from various tafseer sources of Ulama of the. Ahlus Sunnah wal Jama'ah by. ABDUL HAQ ABDUL QADIR son of the late. 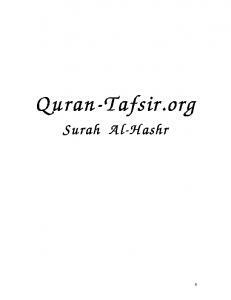 AL-QURAISH This Surah derives its name from the word Quraish which occurs in its first verse. 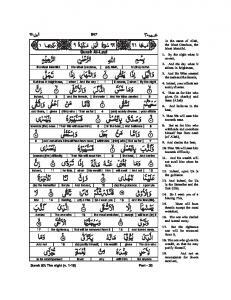 This is a very early Makkan Surah which has 4 verses. 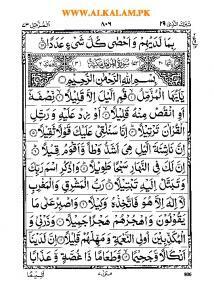 This Surah is closely connected with the preceding Surah which is Al-Fil. 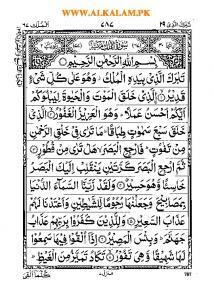 The preceding Surah tells how Allah, the God of universe, saved Ka’abah, His House, from destruction from the troops and elephants of invading Yemenites. 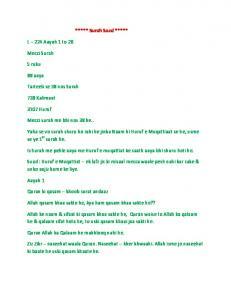 The present Surah tells how Allah has honoured the Quraish who are the custodians and guardians of Ka’abah. They enjoy special honour among the tribes of Arabia and none attacks them. They set out on their trade journeys northward to Syria in the summer and southward to Yemen in winter. These safe and secure trade journeys bring to them prosperity. So they should only worship Allah, the Lord of this House (the Kaabah), Who provides them food against hunger and makes them secure from fear. They should also listen to Allah’s messenger (Muhammad) and accept the True Religion which he is preaching. 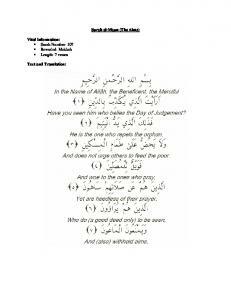 Thus this Surah is addressed to Quraish. It counts Allah’s favours on them and then persuades them to worship Allah alone, shun the idols (which they had placed in Allah’s House), and believe in Muhammad (PBUH) instead of opposing and disobeying him. 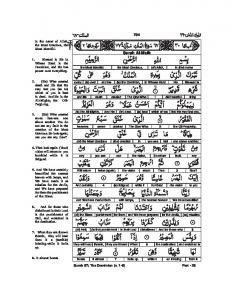 Quraish is the name of the tribe of Prophet Muhammad (PBUH). They were children of Prophet Ismael who was son of Prophet Abraham and elder brother of Prophet Isaac, the grandfather of Israelites. 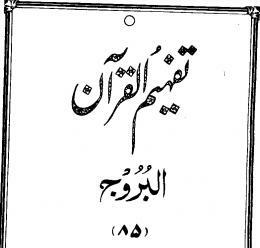 They were called Quraish after their great grandfather Nadir Ibn Kananah whose title or surname was Fahr or Quraish. The tribe of Quraish which had scattered throughout Hijaz with the passage of time, was united and gathered in Makkah by Qusayy bin Kilab who founded a city-state there. He established his authority over Kaabah as its guardian and made excellent arrangements for the welfare of the pilgrims coming from all over Arabia. 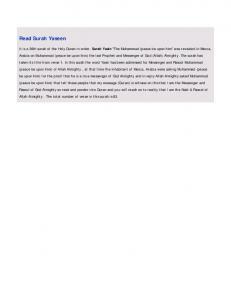 Thus the Quraish were able to gain much influence and great respect among all the tribes of the Arabs. 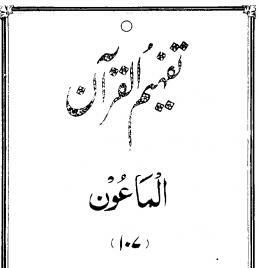 After Qusayy, his son Abd Manaf succeeded him. 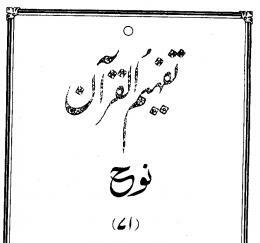 Abd Manaf had four sons: Hashim, Abdi Shams, Al Muttalib and Naufal. Of these Hashim, who was father of Abdul Muttalib (the grand father of Prophet Muhammad) conceived the idea of taking part in local and international trade that passed through Arabia from the East to West and from the West to East. The Quraish, being custodians of Kaabah, had the advantage that the tribes on the route held them in honour and so they felt no danger that their caravans would be robbed or harmed in any way. Thus their trade flourished and their city Makkah became the most important commercial centre of the Arabian peninsula. Despite Allah’s favours on them especially the freedom from hunger and fear, the Quraish proved ungrateful to Allah like their first cousins, the Israelites. They filled the House of God with idols as many as the number of days in a year and started worshipping them instead of devoting themselves to God alone. When God fulfilled the prayer of their great ancestor Prophet Abraham and sent His messenger (Prophet Muhammad) among them, they rejected him and turned against him merely out of tribal jealousy. They inflicted every sort of oppression, persecution, torture and cruelty on the Prophet and his followers and ultimately turned them out of Makkah. The Prophet and the believers sought asylum in Madinah but even then they did not live them in peace. They inflicted at least three major wars (of Badr, Uhud, and of Ditch) on the Prophet, and then did not let him perform Umrah in 6 A.H. At last the Prophet conquered the city of Makkah in 8 A.H. and thus the Quraish submitted to Islam after more than twenty year’s opposition. return the orphan his property. 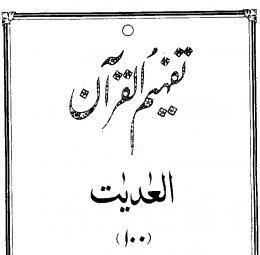 Abu Jahl did not hesitate even for a moment and returned to the orphan his property. When asked by the chiefs why he yielded to the order of Muhammad (PBUH), he replied: I felt that on the right and left side of Muhammad (PBUH) there was a spear which would pierce through my body if I refused to obey order of Muhammad (PBUH). cut off from his people as a tree is cut off from its roots, which might fall to the ground any moment.” It has been reported by Abdullah bin Abbas that when the sons of Prophet, Qasim and Abdullah died,’ As bin Wa’il, a chief of the Quraish said: “His line has come to an end; now he is abtar (cut off from root, a childless man).” According to some other Traditions, ‘As said: “Muhammad is abtar. He has no son to succeed him. When he dies, he will go out of memory and you will get rid of him.” According to another traditionist, when the second son of the Prophet died, Prophet’s uncle Abu Lahab (who was opposed to the Prophet) rushed to the Quraish and gave them the “good news”: Muhammad has become childless this night or he is cut off from root. 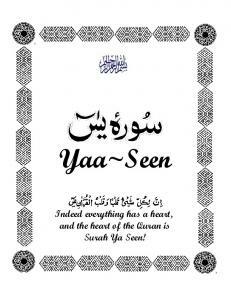 It was in these circumstances that this Surah was revealed to console the Prophet. He was enjoined to seek help and encouragement in prayer and sacrifice with the good news that his enemies would be cut off from their roots and would be without posterity, while he would be blessed with abundance of good in the world as well as in the Hereafter. This good news or prediction has indeed been fulfilled. Prophet’s enemies – Abu Lahab, Abu Jahl and’ As bin Wa’il – all died disgraceful death. No body remembers their name in good words today. Even those who are their off spring, they do not like that they should be associated with them; and if they are associated, they do not feel it honour rather they take it as humiliation. On the other hand, Prophet was given by God billions of children in the form of his followers who consider it as their greatest honour in being even the servants of Muhammad (PBUH). The name of the Prophet is cried aloud five times a day in call to Prayer (Azan) from minarets of every mosque in the world. Every Muslim invokes Allah’s blessings on the Prophet and whenever he or she hears his name, he or she calls Allah’s peace on him. 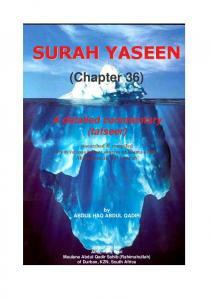 Lesson-363 : In the name of Allah, the Most Beneficent, the Most Merciful. 1. 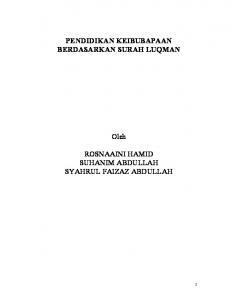 For binding the Quraish together. 2. And for strengthening of their bonds, Allah has devised their trade journeys in the winter and the summer. 3. So let them worship the Lord of this House (Kaabah). 4. Who has provided them food against hunger and has made them secure from fear. In the name of Allah, the Most Beneficent, the Most Merciful. 1. Have you seen him who belies the Religion (or Day of Recompense). 2. That is the one who repells the orphan. 3. And does not urge (the people regarding) the feeding of the poor. 4. Then woe to those who offer prayers. 5. But who are in fact heedless of their prayer. 6. Who do good to be seen (by men). 7. And withhold small kindnesses (like sharing of ordinary articles of use). In the name of Allah, the Most Beneficent, the Most Merciful. 1. Surely, We have granted you (O Muhammad) abundance (Al-Kauthar is also a fountain in Paradise). 2. So pray to your Lord and offer sacrifice (to Him only). 3. Verily, it is your enemy (and not you) who is without posterity. 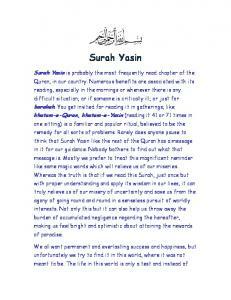 Report "080- Surah Al-Quraish, Surah Al-Ma'un, and Surah Al-Kauthar"